“It is a lawless time” a long time ago in a galaxy far, far away -ouch maybe not that much far- where “Crime Syndicates compete for resources – food, medicine and hyperfuel”. Untraditionally, this opening crawl is not followed by a panning movement from the space in the recent Star Wars anthology Solo: A Star Wars Story (or Solo in short). Finally, directed by American filmmaker Ron Howard, it is now being screened in Istanbul at the same time with US (as of 25th of May, 2018) with the highest quality of IMAX 3D. Lucas himself started to work on a young Han Solo film in 2012, and he warranted Lawrence Kasdan and his son Jonathon Kasdan to write the screenplay. Christopher Miller and Phil Lord (The Lego Movie, 21 Jump Street) started filming by January 2017. However, Lucasfilm and these two prior directors parted ways due to “creative differences” as announced. Howard took over the directing by June 2017, and reshoot almost 2/3 of it. Likely and in that means, Bradford Young as the cinematographer is the least quoted name among the major skeleton. This spin-off brings out clarity to young Han Solo (Alden Ehrenreich) some of which are: the story of ‘Solo’ as his last name, the first time he met Wookiee, Chewbecca (Joonas Suotamo), his girl friend Qi’Ra (Emilia Clarke), and all the story around his criminal hinterland – a gang of criminals led by Tobias Beckett (Woody Harrelson), a smuggler Lando Calrissian (Donald Glover), the crime boss Dryden Vos (Paul Bettany), Vos’s superior (Darth) Maul (Ray Park & Sam Witwer [voice]), and the lovely democratic droid L3 (Phoebe Waller-Bridge). The audience is also introduced to the born of the rebellion Enfys (Erin Kellyman) when the reign of lawlessness is prominent in an environment of despotic governance. Similar to other Star Wars theme since 1977, the main flow withstands the questions such as how cruel a galaxy (!) can become when it is short of fuel (coaxium), how it can cheat to win, how the perception of ‘being hostile’ can be altered when an imperial power invades a place far far away, how it can all turn out to be an evil, how the negligible ones can serve the evil to raise themselves as the new villain, and how the word of trust is deleted from the dictionaries: “Assume everyone will betray you. And you will never be disappointed”. Apparently, Solo is based on that aforementioned tagline for this anthology. Not too much to talk on the directing as explained in the introduction. However, not making a Star Wars film as a high-ranking comedy is a smart and favorable conclusion indeed. It would only be advisable if the story included several tight junctions or binding points to the current Han Solo for a catchy excitement. Nothing to talk much about the acting either as Star Wars was never on the acting predominantly. One thing can be that the visual effects and 3D technology could have been emphasized more significantly. And although the music by John Powell is not that crummy, it will always be a glitch not to hear the striking classical sound of John Williams’ Star Wars high notes. 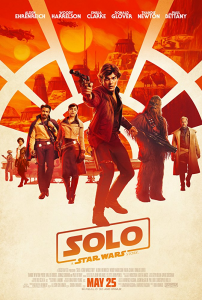 After five months from “The Last Jedi”, Lucasfilm (producer) and by Walt Disney Studios Motion Pictures (distributor) released Solo which has been already reported to gross $83.3 million in the US and Canada, and $65 million in the other territories as of May 27, 2018. 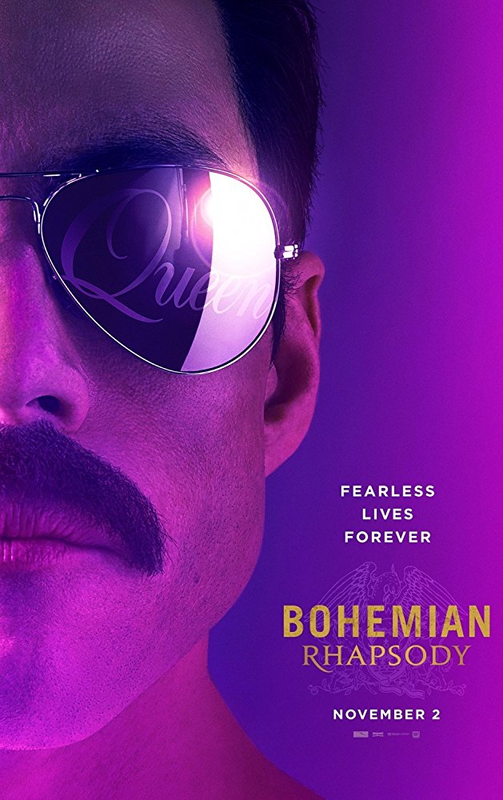 The estimated production budget being around $250 million figures out that it will need to gross at least $500 million worldwide to meet the expectations. The Shape of Water – Who is the Monster? Being not quite sure if The Shape of Water, which is leading in 90th Academy Awards with 13 nominations, will be withdrawn from the competition due to strong plagiarism allegations; apparently a disastrous Oscar drama in itself… Mexican film director Guillermo del Toro’s work show systemic similarities to Pulitzer-winning Paul Zindel’s play “Let Me Hear You Whisper” (1969). It is utmost ironic that one of those nominations is Best ORIGINAL Screenplay for its co-authorship with del Toro and Vanessa Taylor. The story is set back to 1960s Cold War era. A mute cleaning lady, Elisa (Sally Hawkins), working in a highly secured US government lab finds out a secret ‘thing’ (Doug Jones) that is kept in a water tank in there. She is attracted to this Amazon river origined ‘asset’, and tries to rescue him from this research facility where he is being exposed to harmful experiments which paves the way to death. It seems to emanate from a glorious goal of establishing superiority over Russia, and do not take care of the experimental ‘object’ whether it is a living thing or not. While Elisa is trying to save the thing, she is surrounded by the bad and the good, surely to balance the tension of the plot. 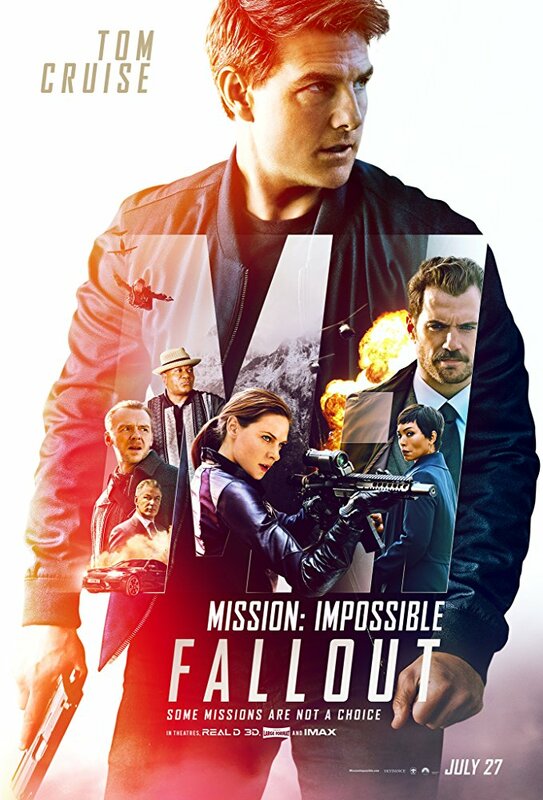 The bad is that ambitious and unethical agent Robert Strickland (Michael Shannon) who is the one that trapped the creature in its homeland and brought him all the way to the lab. The major good ones are her neighbor Giles (Richard Jenkins), her friend Zelda (Octavia Spencer), and Dr. Hoffstetler (Michael Stuhlbarg) who has some complicated relations with Russians to enhance the battle if not yet. Floating camera, color palette, warm light, diffusion filters, dry-for-wet techniques, fish-eye lenses and all the vehicles such as dollies support shooting the 1960s in a fictious way (Dan Laustsen). Since del Toro’s style is making it shot-by-shot, it might have helped Sidney Wolinsky’s job for the editing. It would have been better if the volume of the music and photography were more aligned. Furthermore, it is too much Yann Tiersen rhythms heard around although the music was by the French Alexandre Desplat. There, for sure, is a La La Land effect too, especially towards the end. Such screenplays drawn with thick lines including the events and characters are mostly challenging to move the feelings. The more it becomes thicker and predictable, the less excitement it creates. However, there are still several scenes that make it going: e.g., upon thing’s rescue plan and argument that it is not a human, Elisa’s response in sign language ‘if we do nothing, neither are we’; or ‘positive thinking’ book read by Strickland; or Spencer’s fascinating acting overall. I wonder if I could tell you that it was a tale of love and loss and a monster (monster as not the ‘asset’, but the bad Strickland) who tried to destroy all. Or I wonder if the plagiarism accusations are too big to swallow indeed. Zindel’s play is about a cleaning lady working in a lab, communicating to a dolphin, and trying to rescue it. To summary, The Shape of Water is about a cleaning lady working in a lab, communicating to an aquatic creature and trying to save him. At least, the idea is purely not original. I also wonder how the nominees are selected for US-based Academy Awards since Zindel holds a Pulitzer prize and his Let me Hear You Whisper play is dated back only to 1969. Unfortunately, this nomination can be interpreted as a pity for the intellectual members of the Academy. Certainly, it is not nice to behave oddly to orphans, disabled people, colored people, in other words to be a monster; and it is also not nice to be remembered with the Best Plagiarized Screenplay news. Episode VIII is the second movie made by Walt Disney in the Star Wars series. 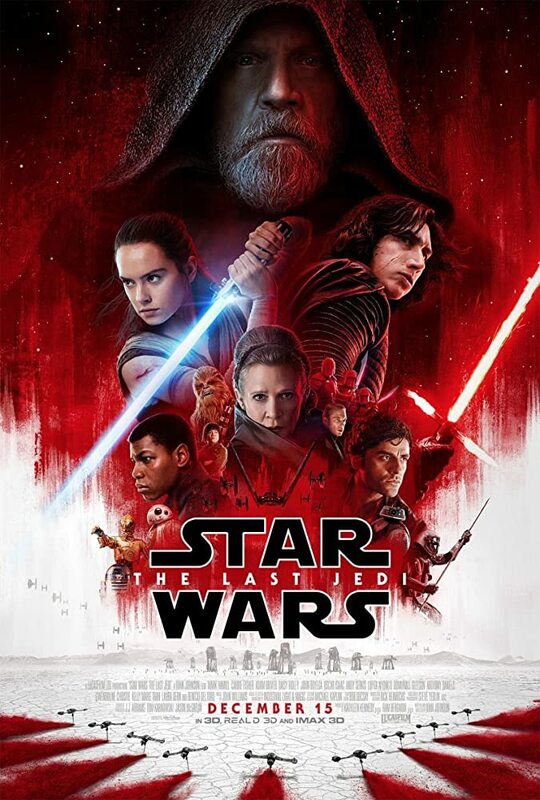 Its name is Last Jedi. This time, it is not a very similar copy of the previous episodes, where in The Force Awakens, nearly everything was like a carbon copy of the previous movies. When you talk about Star Wars, you must be careful, because there are millions of fans. They know every detail of the Star Wars universe. I am sure the writers are also one those fans. (I say writers, because although there is only one author credited, I am sure many people contributed to the final script). However, it may not be sufficient to be a fan of the Star Wars. You must have a good story to tell, because original Star Wars had a descent one. Just imagine, your father is on the dark side, and you convert him into the light, the good side of the force. There are space ships everywhere for the nerds, force for the spiritualists, a fight for freedom and peace for the activist, Yoda for the conservationist. You have lots of new stories in the emptiness of the space. You have nice visual effects. So, what does the new Star Wars have in it, or does not have in it? Again it has a bad character who is on the dark side, Kylo Ren. WE don’t know if he will convert to light or not. There is balance or Ying Yang for the interested spiritualists. The last jedi vs darkness. The rebels fight for their freedom against the evil forces. Of course again we have Yoda and the old books of Jedis. We have better visual effects. Wait, did you realize. We have everything that we already had! It seems like a rephrasing of the old star wars series. The new series does not have much novelties to tell. Of course, this doesn’t mean that there isn’t anything worth to see. First of all, this is a big budget movie, which means that technical issues are correct. The scenario also doesn’t have big problems, except not being creative. There are some details which will be probably explained later, e.g. Master Codebreaker‘s role, who is advised by Maz Kanata. It is also worth mentioning that there will be new Star Wars spinoffs including Solo, which is based on Han Solo. So, if you like Star Wars, keep tuned in! Mehmet Ada Öztekin’s first long-métrage movie (literally long, lasting about 120 minutes) “Lord of the Gulls” is playing in theatres as of 22nd of December. Centralizing the naïve, schizophrenic character (Lord of the Gulls [MEF]) and setting the story around this core, the script (Meriç Demiray) is consisted of crowded and scattered pieces which are not difficult to follow, however causes a superficial narrative. The story starts in June 16th, 2013. We see MEF (Mehmet Günsür) by the seaside (Tuzla, Istanbul) talking to the gulls, pretending to be accompanying them with his long-sleeved open cardigan. He yells at his caretaker, Suphi (Barış Yıldız), via imitating the voices of gulls. He says that they should be prepared that night. MEF is so excited, because he is expecting a dreamy assisstant to show up from the sea to help him in achieving his secret mission in the hidden land. Indeed, a semiconscious young woman (Bige Önal) who attempted an unsuccessful suicide is washed ashore coincidentally that night. MEF goes almost to an euphoric state. He names her as Ms Dream, and starts to train her for this delusional mission. In reality, Ms Dream’s name is Birgül. She is a run away bride who has thrown herself into the sea at her wedding night due to an unwanted marriage with Cafer (Nejat İşler). I will let you follow the rest of this intersection on the screen, mainly via the MEF’s axis. Having acknowledged the shots, frankly speaking, I might have not seen such a close shooting since Joan of Arc in 1928. For instance, I had difficulty in understanding like-15 times changing camera movements during a phone conversation of Birgül with his boyfriend. If shots and light were aligned accordingly, the acts would definitely appear more convincing and powerful. More on the cinematography, I wish that filters or light would be reflected in a more standardized way so that we could automatically get into the themes. One more thing completely from my point again, I found this time lapse effect totally unnecessary. I may find it useful to an extent in the advertising industry but not in the movies. To close the cast; Nejat İşler shines in all scenes, starting from dropping his cigarette from his mouth at first until the very final appearance. I can interpret the plot, as have also been mentioned above, superficial and full of a little bit of everything. Though not remembering in details, I think that there may be some referrals to Kosmos (2009, R.E.) as well. MEF is quite a long movie for its duration however still one-dimensional. I felt overall like that the script had to walk in hurriedly before a final adjustment. I was curious about the characters that were not expanded, and wonder why one or one-and-a-half conflicting point was not selected or scraped out deeper. Several matters to close the loop, for example, are what happened to the other members of the MEF’s family that he hallucinated during one of his psychotic attacks, or why MEF was shown like coming from an upper family standard after which we did not see any hints of it, but almost the opposite.. Putting everything in one plate is always susceptible to leaving open gates for the audience behind..
Last thing regarding the score (Toygar Işıklı): it was remarkable and in line with every bit of the created atmosphere. 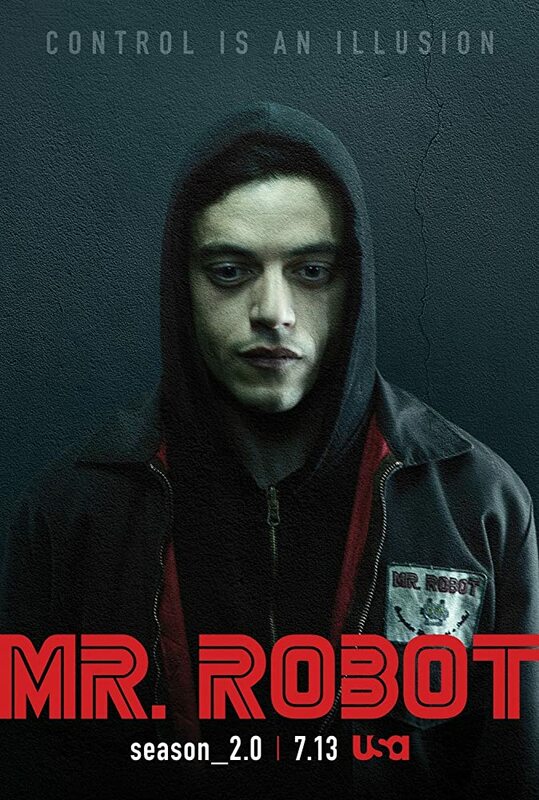 Mr Robot is a TV show about a hacker who tries to make his own revolution. Although it seems like a technological show, it is much more related to politics. I would classify it closer to Continuum with less science-fiction. However, I must admit that most of the hacking staff in the movie is science-fiction. You must be psychic to be able to hack all of those passwords with a good guess. The series has a good connection with the audience because the characters in the show are from daily life. They work in an office with many personal problems. Elliot works in his boring cubicle just like Mr Anderson from Matrix and does hacking at nights. Of course he is 100 times more talented than regular hackers, otherwise why would this be an interesting story? Indeed, the story begins when he decides to do something to make the world a better place. Until now I have given similarities to Matrix, so if you are fan of Matrix, you will probably like this one as well. But this is not all. The series have many references from Fight Club to Clockwork Orange. So if you like to discover all the details, you will like it because each scene has a special item to discover. But more importantly, the series has its own style. It is very dark and depressive. Unlike awaken Neo, Elliot is always in a state of depression. To overcome his problems, he is deciding that the world is the reason of his and everybody’s problems and he tries to change the world to make it a better place for everybody. This is where the main question of the show starts for me: should you change the world starting from yourself? Would this mean a solution or a surrender? Or should you change the world? Elliot selects the latter one. But will it bring happiness to the world or should he undo everything for a new start? Since the show is highly political, this brings some questions from the real world. For example what would happen if the greedy companies are destroyed. Does it make the world a better place? If no one has any debts, would this solve the problem? Although the show is negative to these questions, we should remind that the real world is negative to the other case where the governments back up the big companies after the crisis. It has been a long time and still there does not seem to be a solid exit from the economical crisis. I will not get into details about the lack of the correct economic views in the show. But one thing is that it is trying to say to the audience that it does not matter what you do about the evil corporations, there will be another monster waiting for you under your bed. Indeed it says that control is an illusion, which is equal to saying “Don’t try to struggle. You will lose anyway”. This is not the only political message, also there are messages related to Trump (do I need to say that it is anti-Trump? ), China (indeed many details from dark army) and many other small details. I believe that they have a good collaboration with experts in their fields. If you know the technological investments of intelligence organizations, you will realize that this show is doing a good job. 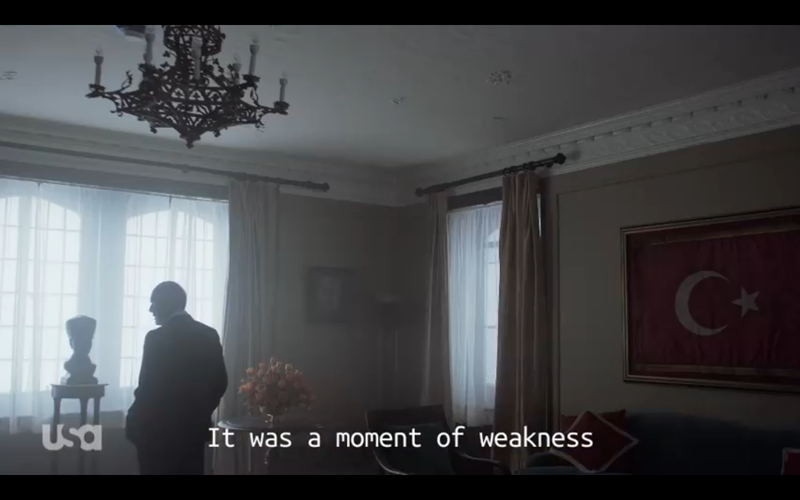 I think Robert Redford should be a guest star in at least one of the episodes as a tribute to ‘Three Days of Condor’ . A final note about the co-producer of the series. Kor Adana is Turkish and probably inspired the team about the room with a Turkish flag and Ataturk statue where the scene was related 2015 G-20 meetings. They are doing a great job and taking care of every detail. I guess this is one of the reasons why techno geeks are really into these series. They really make everything seem like real. Caution: This review is written in the third season, so it may contain some spoiler about previous seasons/episodes. Read it at your own risk!